What is DMP (Data Management Platform)? Assuming you already know what DMPs are and how they work in digital advertising alongside RTB and DSP, skip to the advanced information; download Syndacast’s AdBoost fact sheet here. DMP (Data Management Platform) is in fact not a new solution but is one that has recently been embraced by digital advertising. It is also commonly known as UDMP (Unified Data Management Platform) and what it is, is basically a centralized computing system that collects and manage huge amount of data from many different sources. The term DMP is most commonly associated with development projects wherein the idea is to help data users to turn raw data into information that could be easily read and support business goals. DMP in terms of online media advertising has, to-date grown so powerful that publishers could now literally track users and customers from a multitude of sources such as mobile usage, tweets, banners, and even offline applications. The user data collected from web cookies, a small file that tracks internet user behavior is dissected by the DMP and categorized into segments and groups; organized into useful and coherent information. 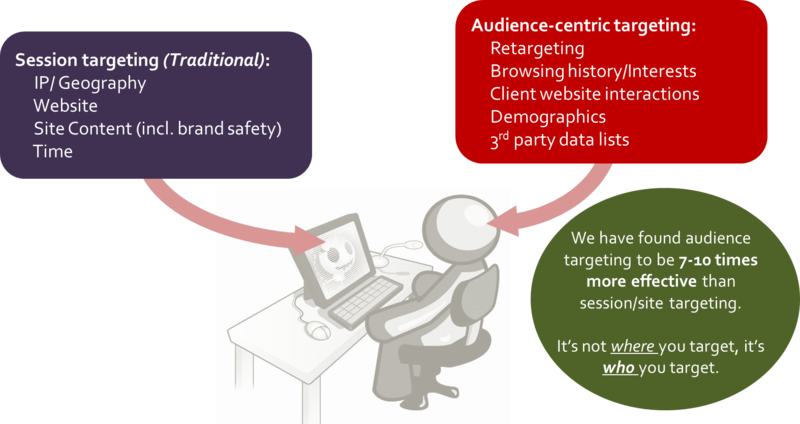 The use of DMP far exceeds the buying of ad impressions but also helps publishers in the long run in terms of shaping and defining targetable audiences. DMP is a solution in itself but is also part of a bigger solution: RTB Display Advertising. P.S. Are you looking for an all-in-one solution for display advertising? Then you’re at the right place. Get in touch with us to learn more about AdBoost, a powerful RTB Display Advertising technology. What is DSP (Demand Side Platform)? Already versed on what a DSP (Demand Side Platform) is? Just skip to the advanced part and download Syndacast’s AdBoost Fact Sheet here. 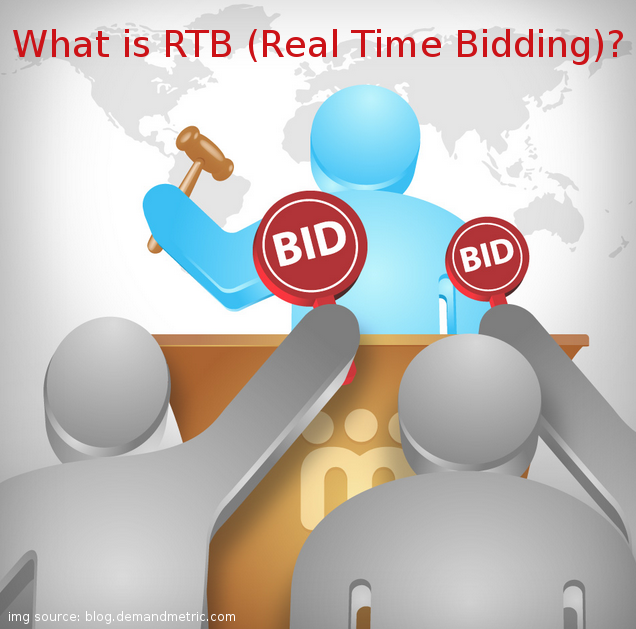 In order to participate in RTB (Real-Time Bidding); if you haven’t read our guide on RTB, read it here, you need to have a tool capable of processing massive amount of data sets and calculate bids for billions of impressions. Most importantly, the calculations and bid estimations need to happen real-time. This is what a DSP is. It’s a tool that makes it possible manage huge data sets as well as define campaign rules. Instead of manually going through all available ad inventories to identify the ones that match your product/service, a DSP does it automatically for you. The tool identifies audiences that you should bid on as well as the media impressions in order to reach the said audiences. 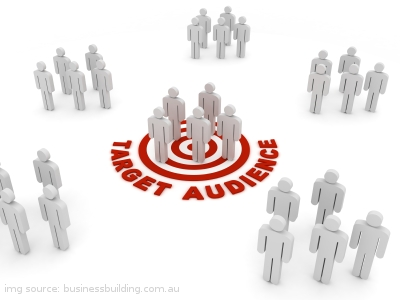 Before being able to do all the targeting work for you, you first need to feed the DSP with data about the ideal audience such as gender, age, income and so on and so forth. Once this is determined and set-up you now need the information source where to bid for impressions in order to reach your audience. Data regarding potential ad audience comes in 2 main parts: first party data which is your customer data and third party data (purchased data from other sources). A separate platform helps to categorize the huge amount of data into segments called DMP (Data Management Platform). Read about DMP here. As previously explained, it is impossible for advertisers to manually sort through all media inventories to target relevant audiences and calculate bids for each, one by one. The DSP technology does this and does it very well, taking just milliseconds in counting to evaluate and calculate bids. Automatically calculated bids are matched and compared against other bids and the highest bidder wins. On the user experience side, this all happens in the blink of an eye and absolutely no delay in data processing is experienced in terms of website load time. An important bit of information about DSPs is that it is always ‘learning’. 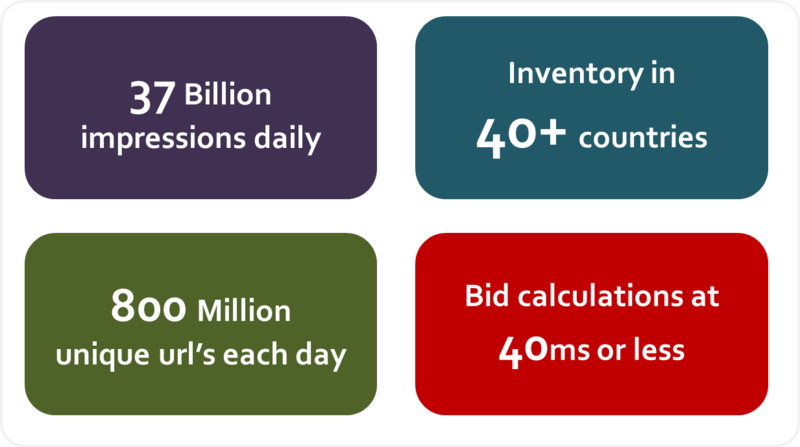 It’s not just about managing and calculating bids but by using historical data, the DSP is able to identify behavior and user characteristics that help optimize your bidding strategy. This learning ability helps drive advertisers towards optimal performance. In a nutshell, the DSP would only get better at coming up with bid prices for your prospects. However because each DSP is designed differently by the developers and have different algorithm, you might find some DSP more powerful and perform better than some. So do choose your DSP brand wisely. P.S. Are you an agency looking for an all-in-one solution for display advertising? Then you’re at the right place. Get in touch with us to learn more about AdBoost, a powerful RTB Display Advertising technology. How does RTB Display Advertising Work? First off, if you’re already an expert on what RTB (Real-Time Bidding) Display Advertising is, then go for the advanced stuff. Download Syndacast’s full AdBoost RTB Display Advertising Fact Sheet. Moving on, for anyone still fuzzy about RTB, let’s start with the question of what is RTB Display Advertising? If you’re here reading this post because you’ve found the bits and pieces of information being thrown around the internet difficult to piece together for something halfway coherent, worry not. You’re not alone. The market is in fact falling short of adequately explaining RTB (Real-Time Bidding), DSP (Demand Side Platform) and DMP (Data Management Platform) in layman terms. Let’s start with RTB. RTB which is short for real-time-bidding is a major evolution on how digital media is bought and sold. Before RTB came around, display and banner advertising is all about closing ad deals with websites individually via CPM (cost per impression) rates (cost for 1000 visitors of website users to see your ad) and flat rates per month or even CPC (cost per click) rates. Typically, the seller would propose a CPM rate and the percentage of impression distribution over time and/or ad rotation ratios to advertisers. With RTB, this is no longer the case. Instead, the advertiser conducts their own evaluation and place bids on individual ad impressions as they are about the happen. A third party system is used in this new RTB model. The publishers (website owner with advertising space) make their ad impressions available on third party exchange platforms. Advertisers could then buy the impressions directly through the exchange. Most advertisers do prefer to buy impressions via a separate DSP tool which enhances the bidding process. The benefits of using a DSP is flexibility such as letting brands/advertisers leverage their own data for targeting ads, and makes it possible to apply sophisticated algorithms for bid optimization. Let’s take a step back to RTB here. Keep your questions about the DSP you may have for now. (We’ll explain that in detail in a separate post). So when we say: with RTB, advertisers make the call rather than the publisher; how does it actually work? “Different Advertisers give different values for different audiences “. To illustrate this a bit: Suppose that you are selling high-end women hand bags. Your ideal customer profile would be female with high income between 25 – 38 years old. You may be willing to spend quite a bit of money to ensure these women that fit this profile see your ad. Now considering that half of the women are working moms. A high-end baby product brand are also targeting the same group as you are, and consequently, they might be willing to bid higher that you are in order to show their baby products. Thus, the higher bidder wins and gets to show targeted audience ads for their product/service. Reason 1: Instead of spending huge money on hiring a sales force team, RTB gives publishers an alternative to sell their entire advertising inventory without the said team. Reason 2: Being part of an RTB platform means more people get to know about their advertising space. In terms of reach, this beats going the route of direct sales or hiring a media planner. Reason 3: Targeted audience segments tend to yield more income for publishers compared to generic audience inventory buy based on website traffic because of the higher willingness to pay for targeted audience. Reason 4: Finally, RTB is the first solution that comes to mind for any unsold inventory because it is cost effective and really does work. What does this all mean? RTB for publisher is another great avenue to make money. As RTB get larger and larger, sorting through the huge amount of ad data and bids becomes overwhelming and defeats the purpose altogether. This is where the DSP comes in. 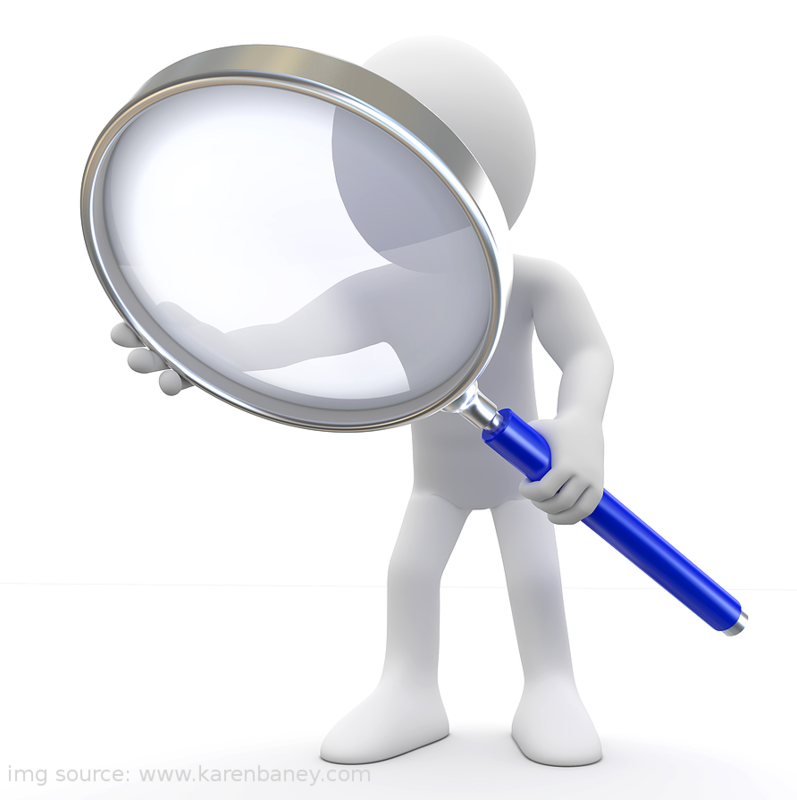 Stay tuned for our article on ‘What is DSP and Understanding Demand Side Platform’.